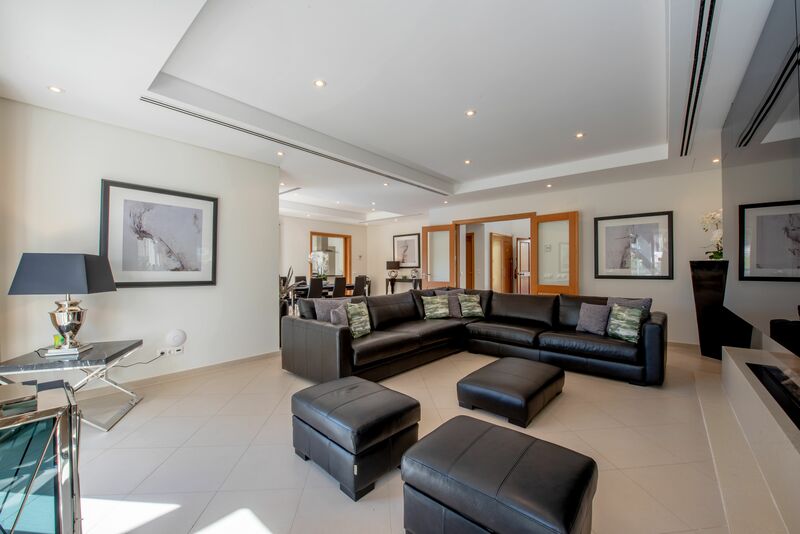 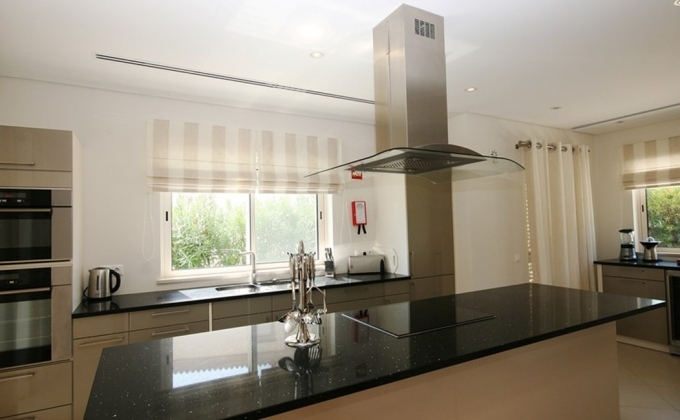 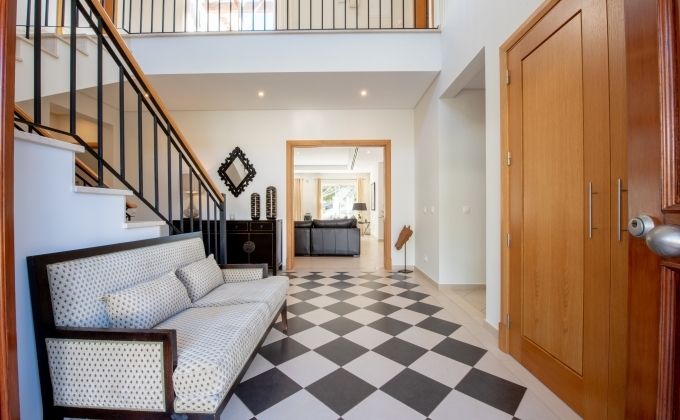 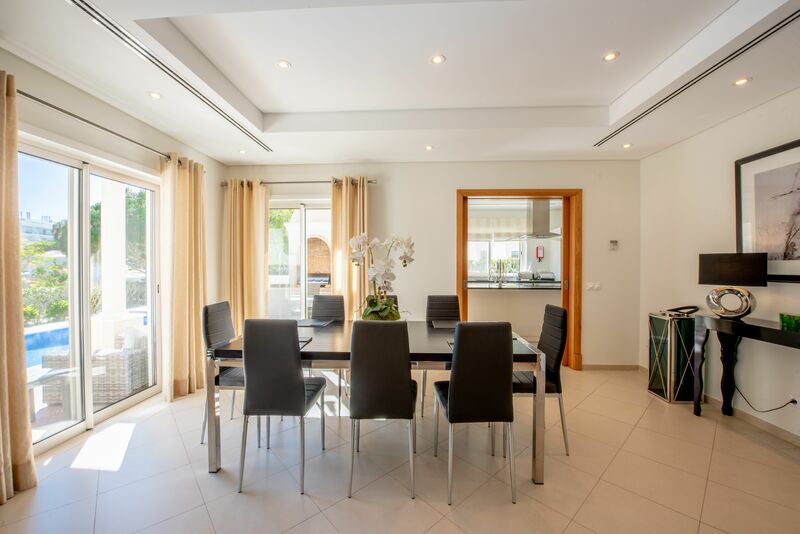 Luxury, modern 4-bedroom villa in the highly sought-after resort of Dunas Douradas. 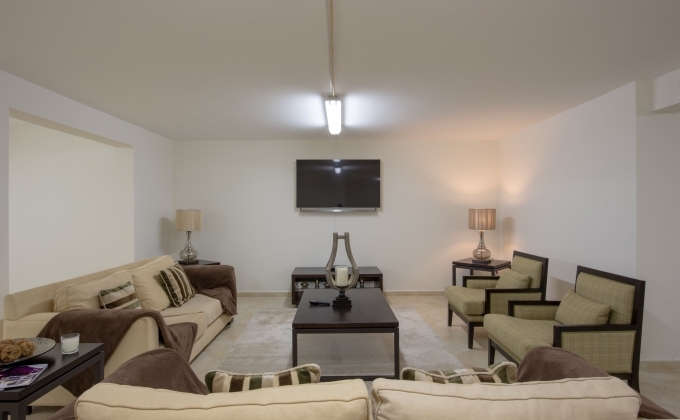 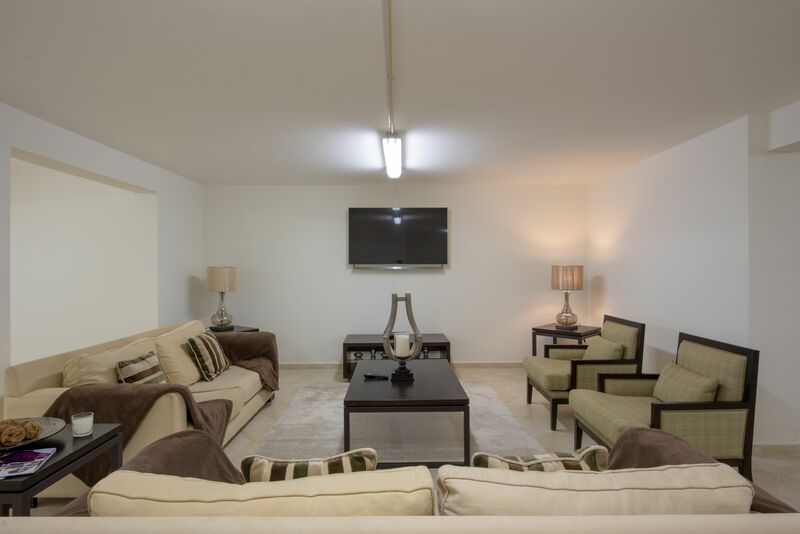 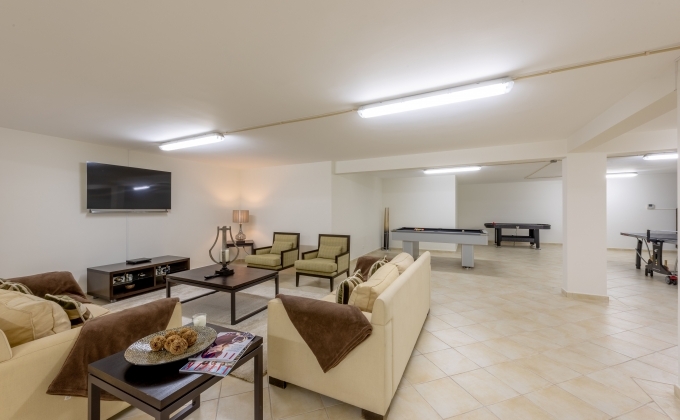 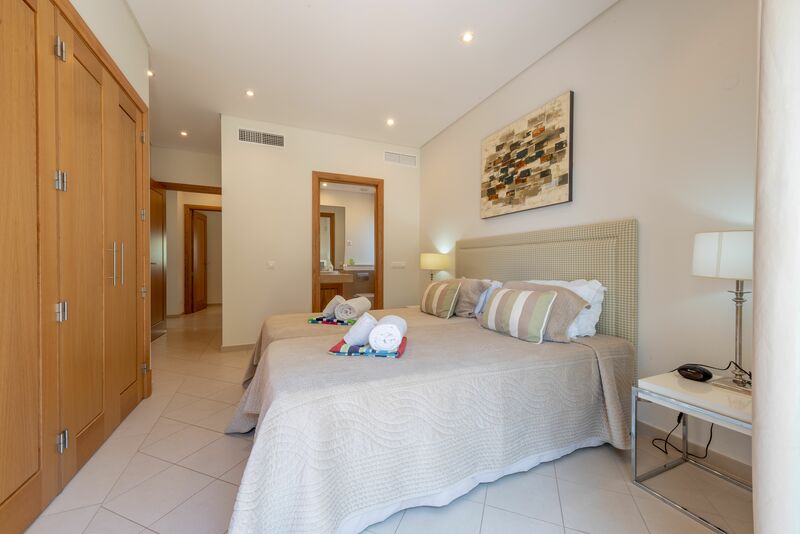 Located in a fantastic position only a few minutes’ walk to the beach and Dunas Douradas beach club. The grand entrance hall leads through to the open plan living/dining room with, large ‘L’ shaped leather sofa, Lazer 50inch TV (SKY including SKY sports), DVD and CD player and a large dining table that seats 8. 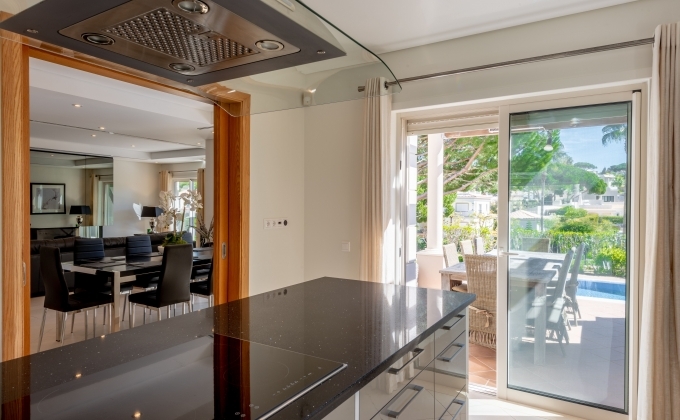 This room has multiple glass doors that lead out to the terraces. 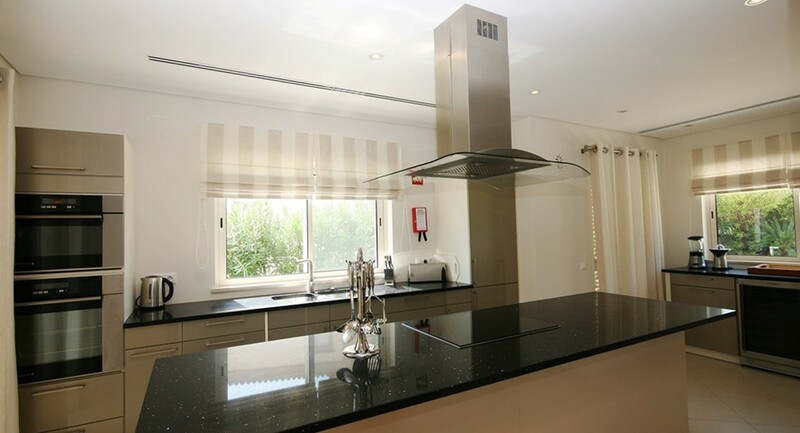 Accessed through the dining area there is a modern, fully equipped kitchen, with large central island. 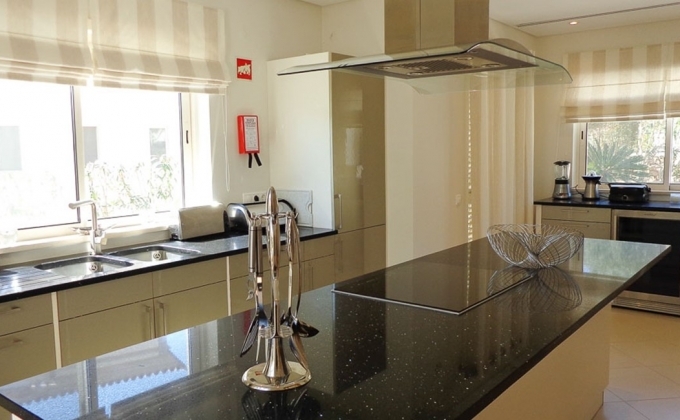 The kitchen is finished with marble work tops and modern appliances, including a wine fridge, there is also a separate utility room with washing machine and sink. 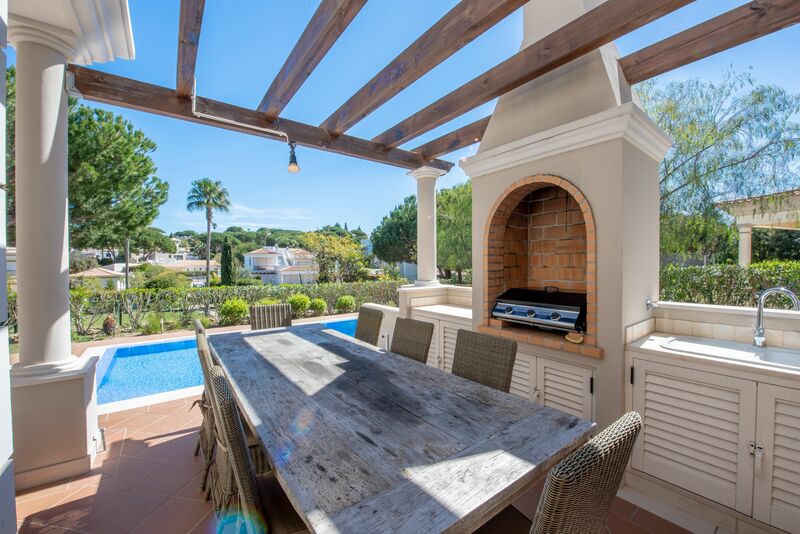 The kitchen has patio doors which lead out to a large terrace with further dining table and chairs, built in gas BBQ and preparation area with sink. 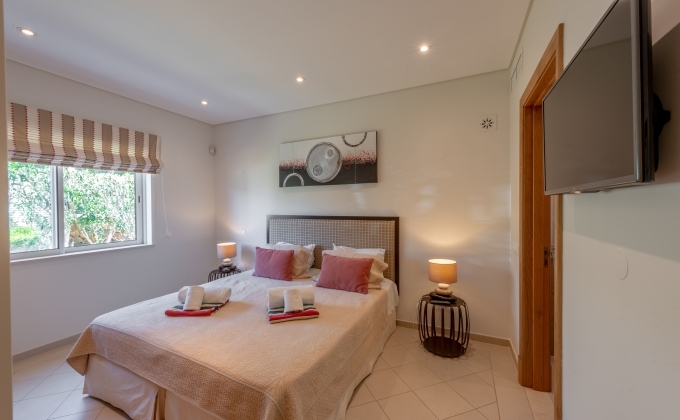 Also, on the ground floor you have 2 bedrooms, both of which have twin beds, made up as doubles. Both bedrooms have good sized, modern en-suite bathrooms and underfloor heating. 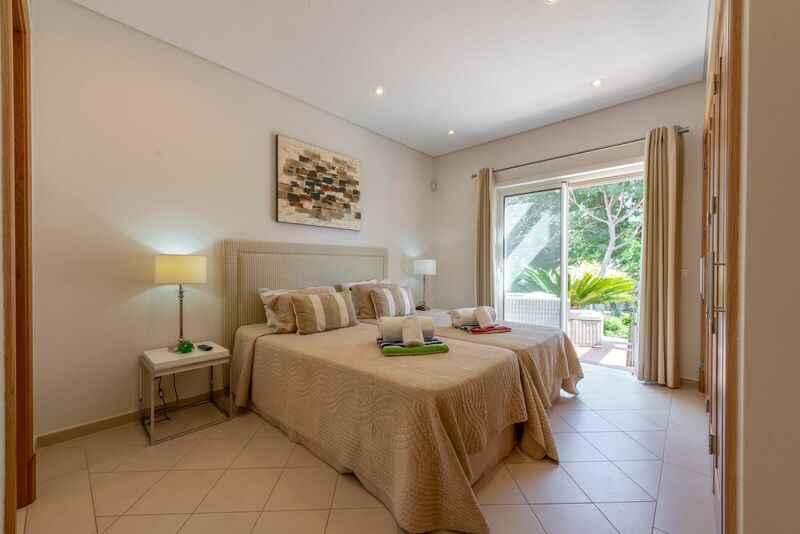 1 of these rooms also has direct access to the garden area. 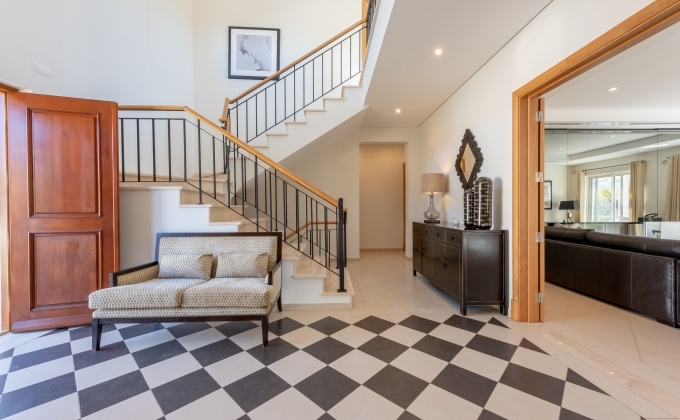 On the first floor there are a further 2 bedrooms. 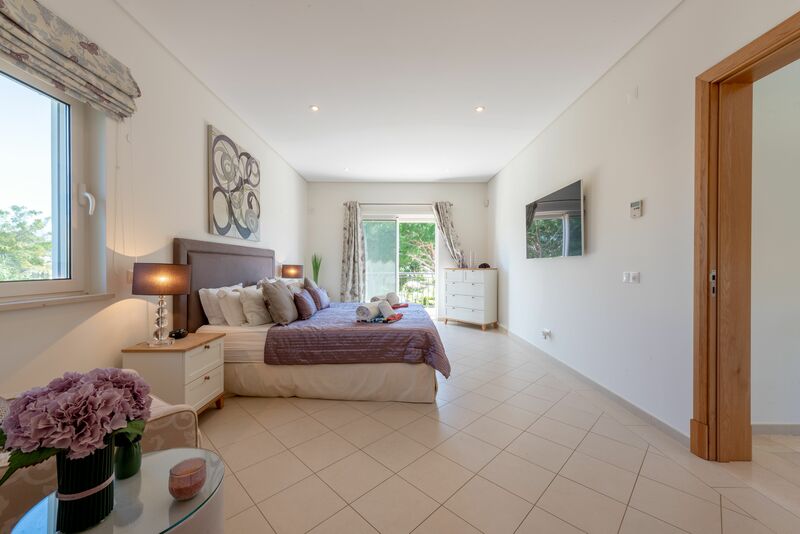 The large, double bedroom has a TV and a dressing area with 2 built in wardrobes. 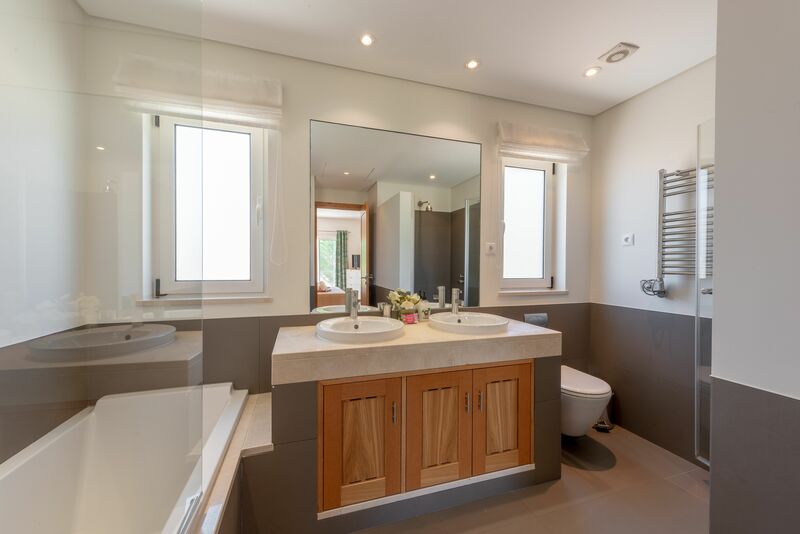 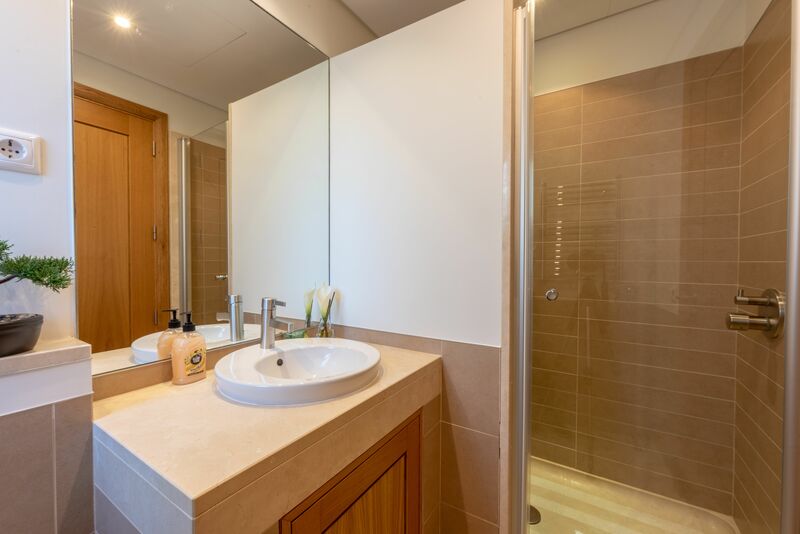 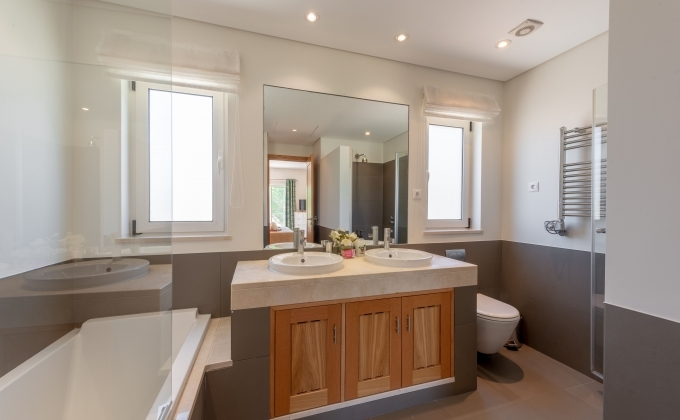 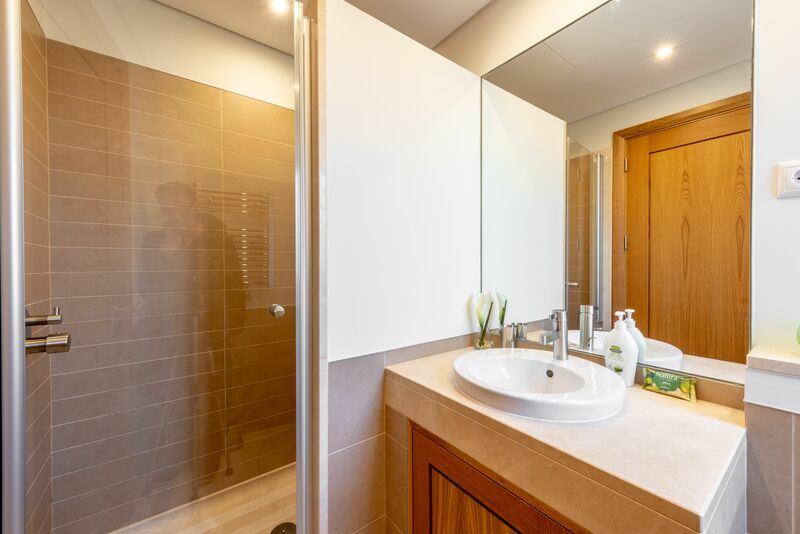 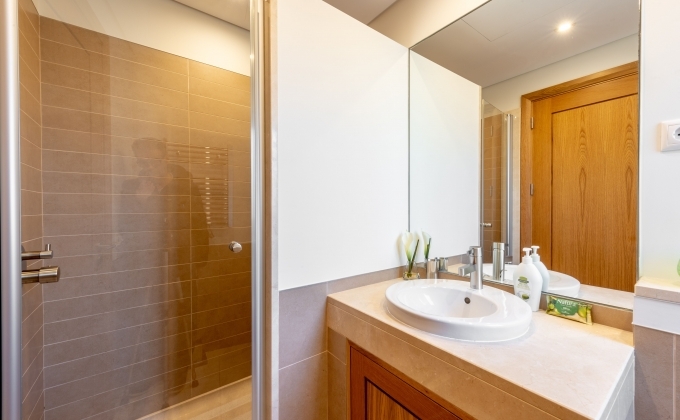 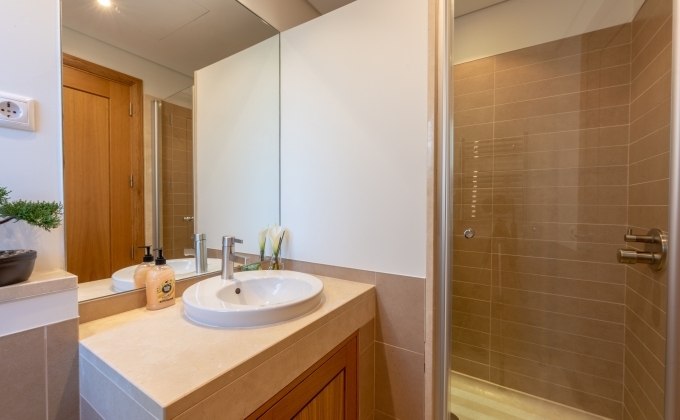 It also has a large en-suite with corner shower, bath with shower, underfloor heating and twin sinks. 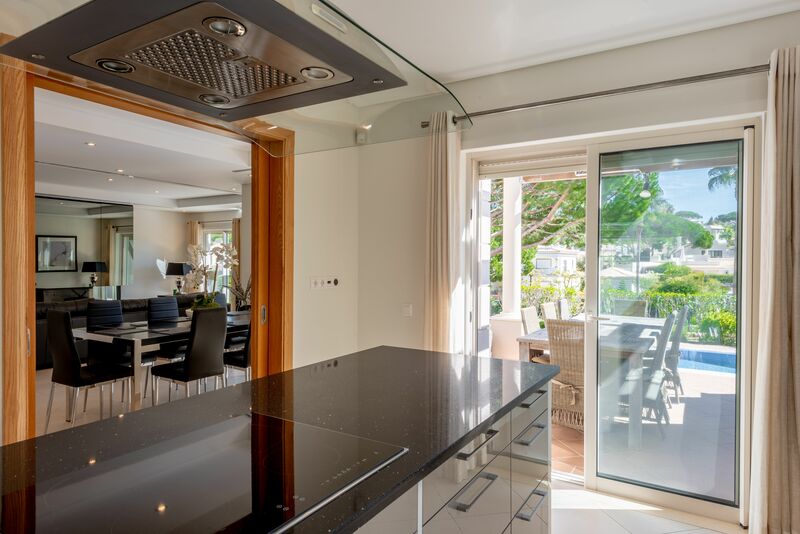 This room has access to the first-floor wrap around terrace, here you can take in the lovely views across the garden. 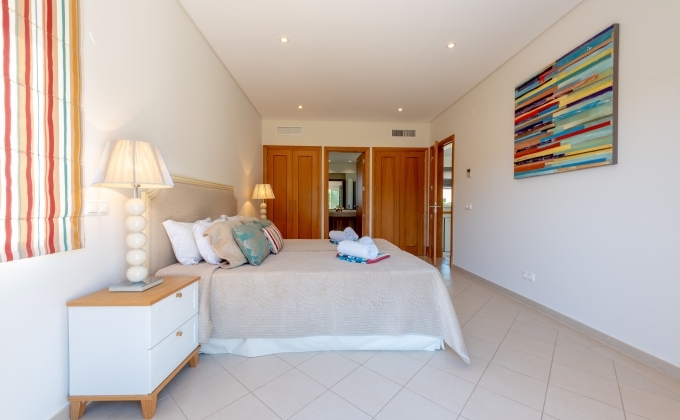 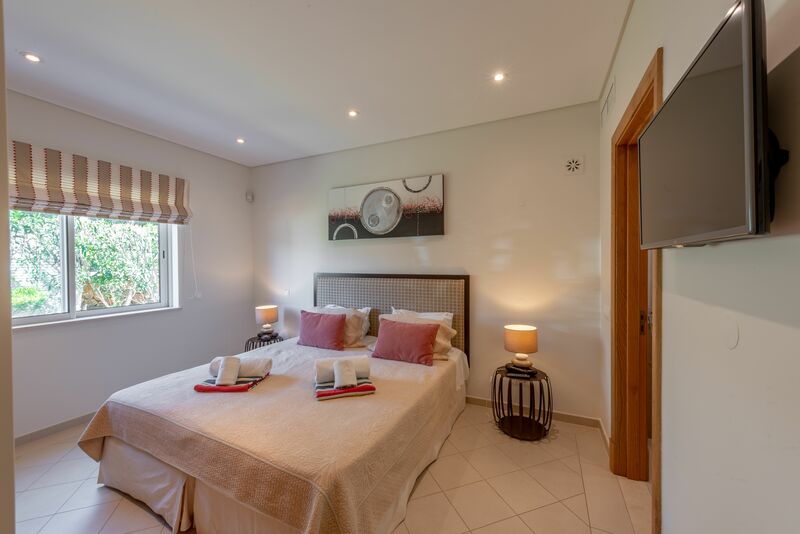 The final bedroom has twin beds made up as a double, it has a TV, a large en-suite with corner shower, bath with shower, underfloor heating and twin sinks, and access to the wrap around terrace. 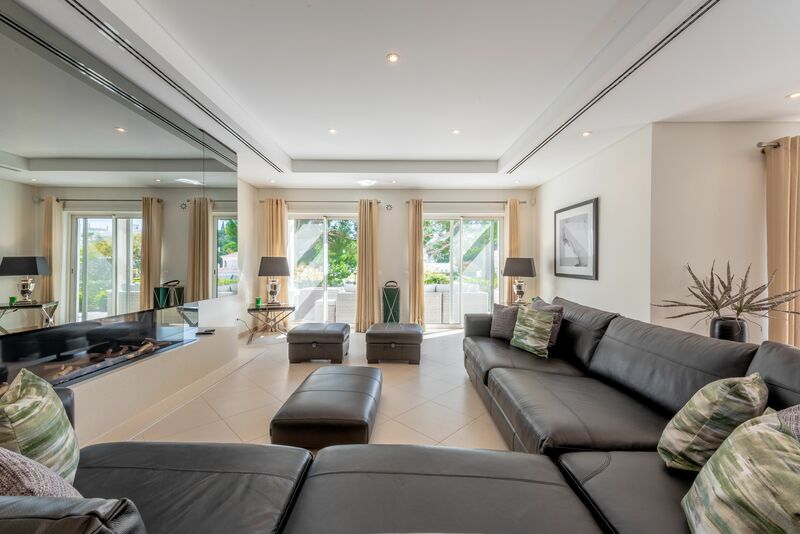 From the first-floor hallway there are patio doors which open onto a large terrace area with sofa chairs to enjoy the early evening sun. 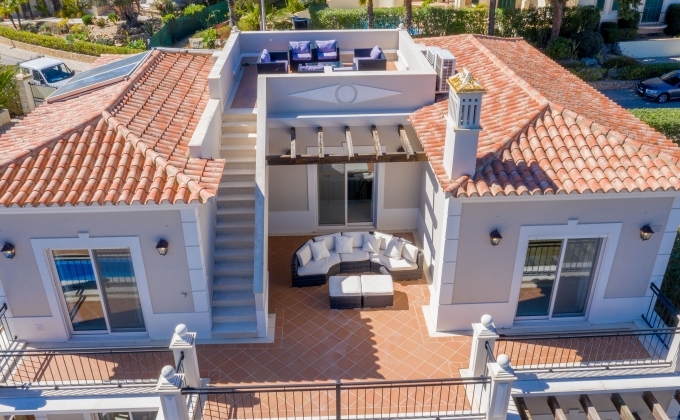 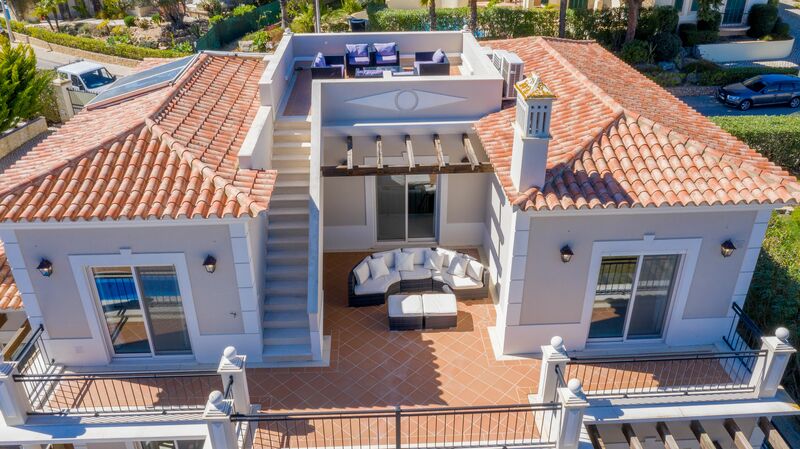 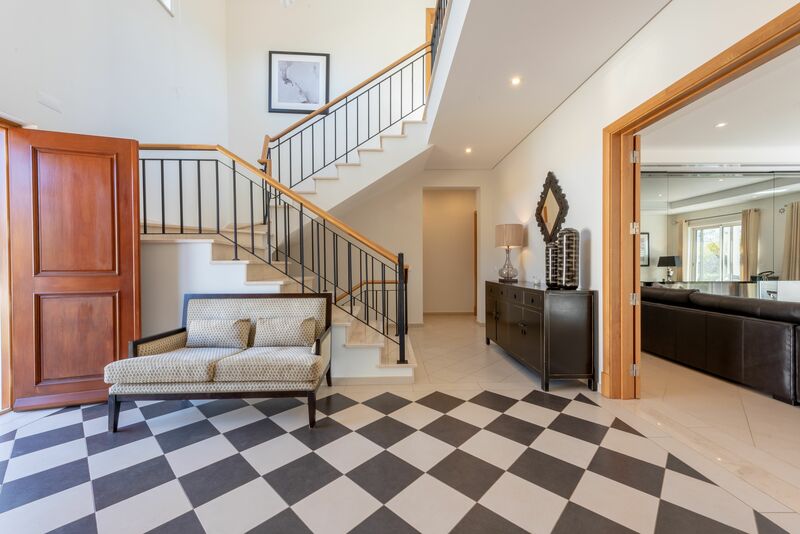 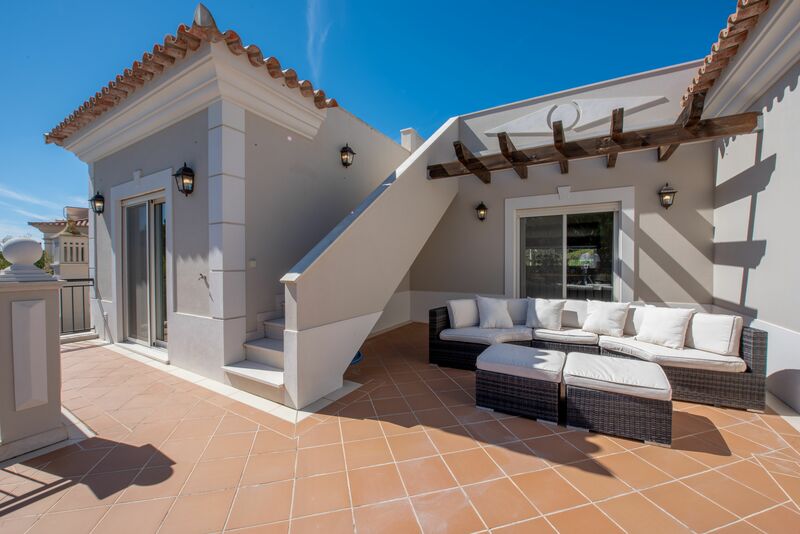 There are further external stairs that lead to a spacious roof terrace with comfortable seating area where you can enjoy the superb views of the ocean and Dunas Douradas. 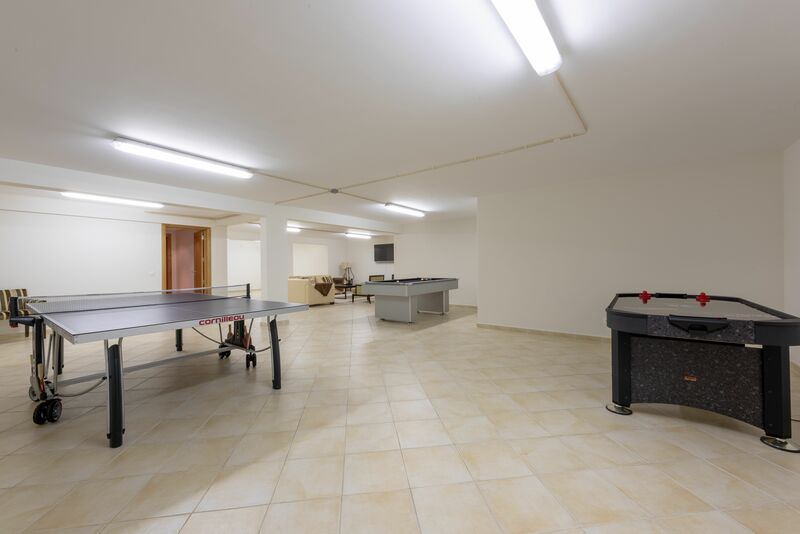 Stairs lead down to the large basement; this room is used as a games room. It has a pool table, table tennis table, air hockey table and even a second living space with sofas and large 50inch TV. 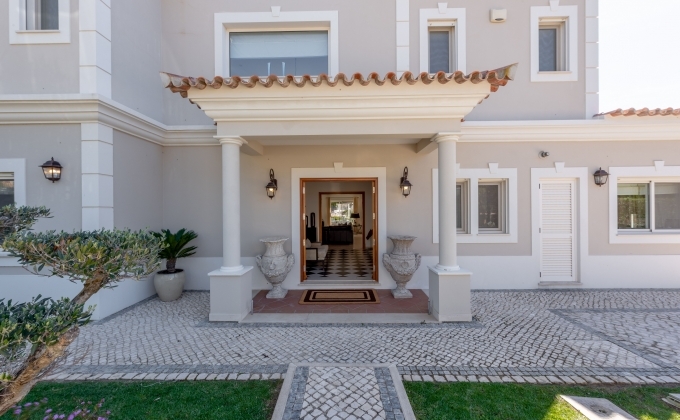 Stepping stones lead from the garden gate (key access) to the lovely communal gardens at Dunas Douradas for owners and guest’s enjoyment only. 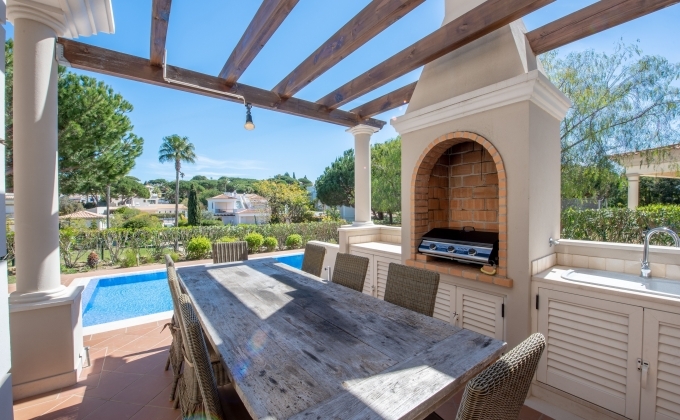 The terrace area that surrounds the pool is the perfect place to relax, it has 8 sun loungers and pool side furniture. 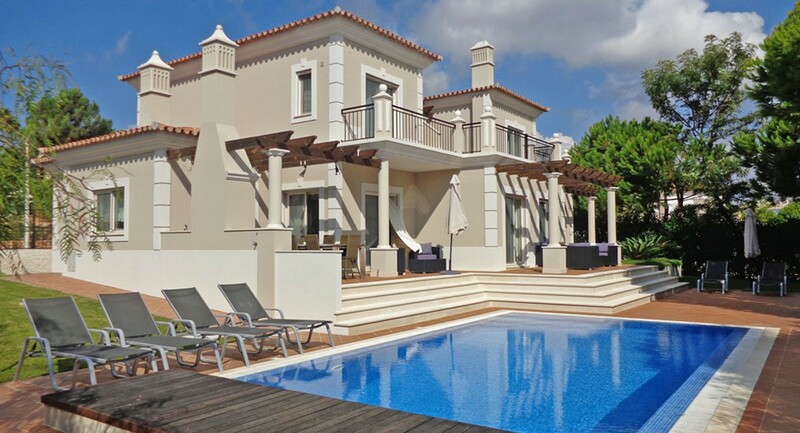 This villa has free air conditioning and WIFI throughout. 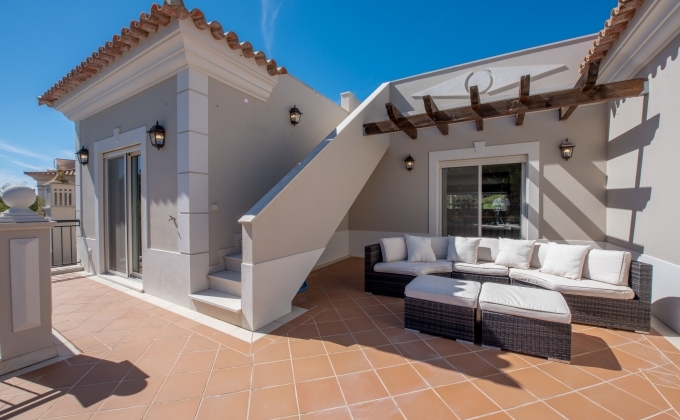 Villas in Dunas Douradas are never more than 2 storeys high and all painted similar neutral colours meaning that Dunas Douradas resembles a beautiful small village that fits well into its environment. 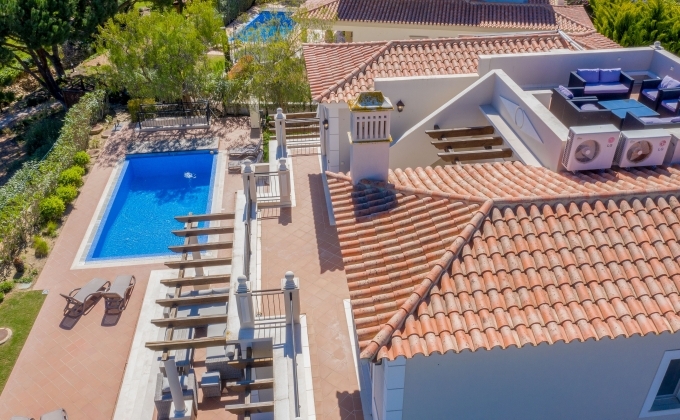 You can find everything from villas with pools, to townhouses, to apartments, offering great accommodation for all budgets and tastes. 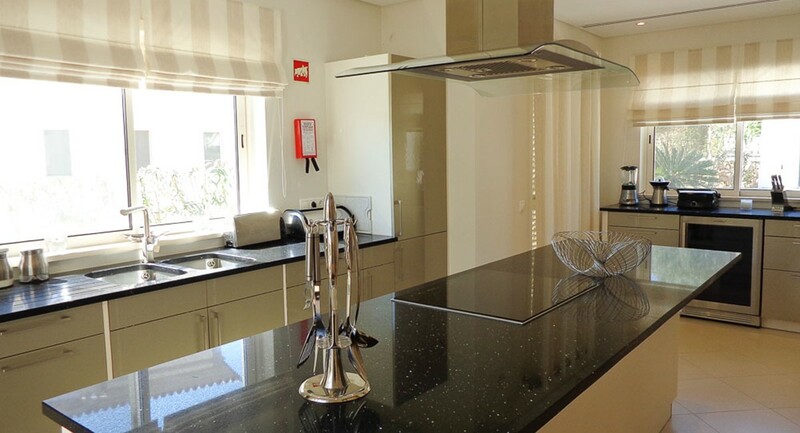 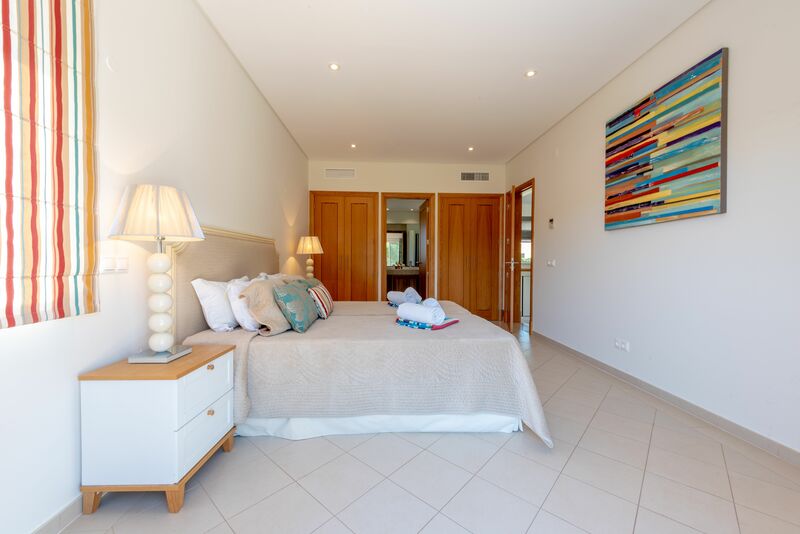 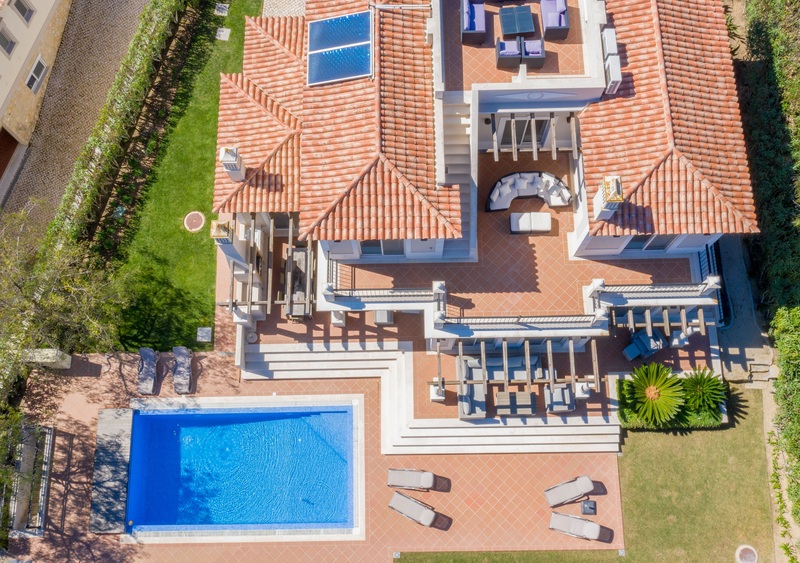 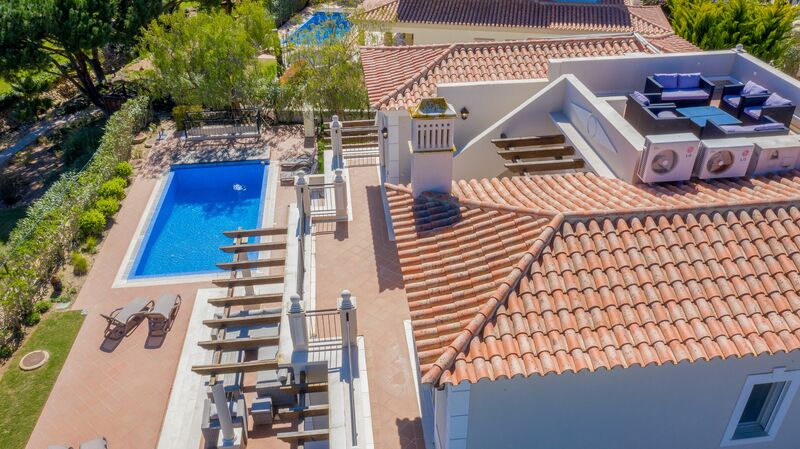 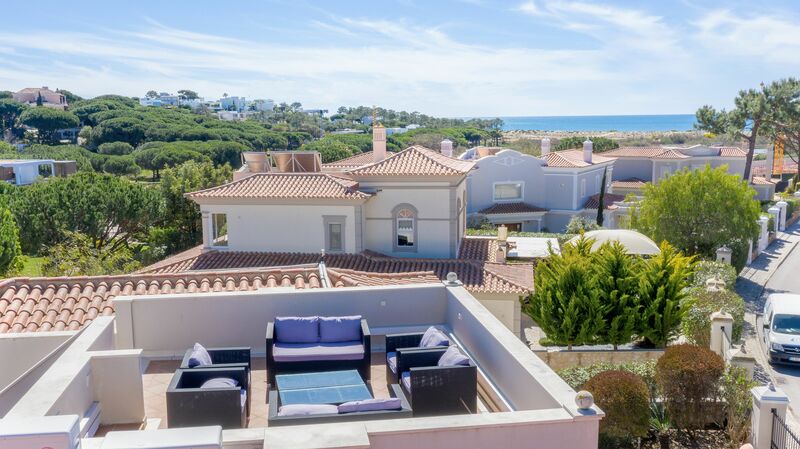 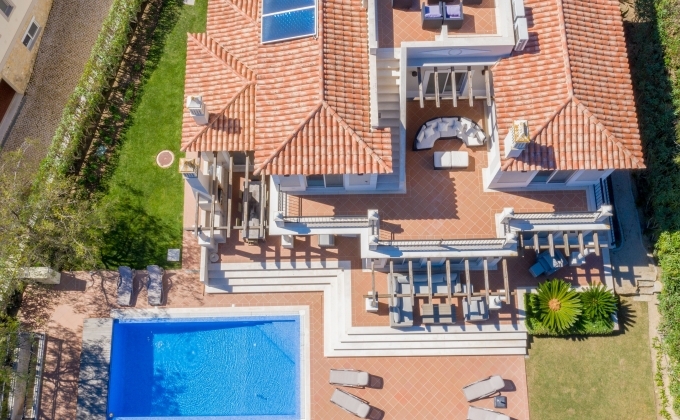 Dunas Douradas is in a great location, situated in the heart of the `Golden Triangle` between Quinta do Lago and Vale do Lobo, set within over 70 acres of pine forest and orange groves that slope down to the ocean. 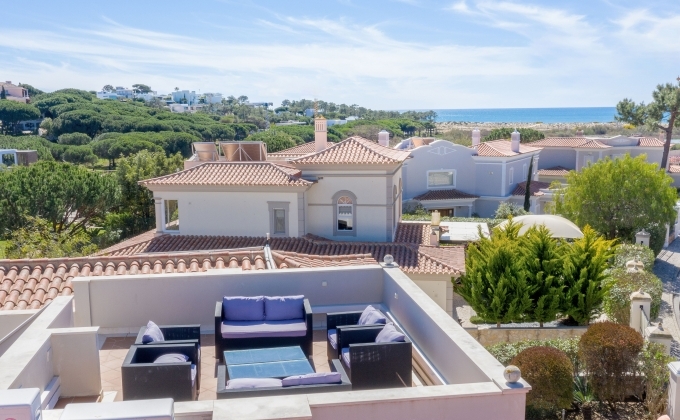 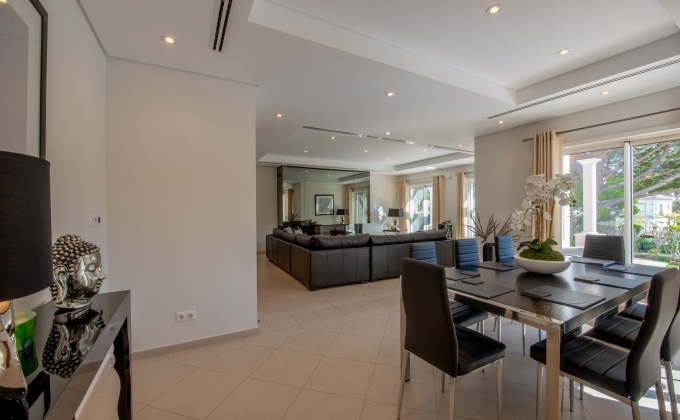 The resort is smaller than its neighbouring Vale do Lobo but benefits from great facilities as well as the services and facilities that are on offer in the nearby resorts. Dunas Douradas is easily accessible as it is located at just 20 minutes west from Faro International Airport which benefits from many direct flights from most European cities and major airlines. 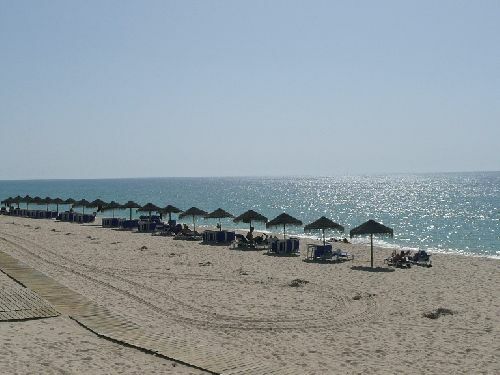 Getting to and from Dunas Duradas could not be easier, you may wish to have the flexibility and freedom offered by car hire, alternatively we can arrange taxis and transfers for you.